Garth Nix is on hilarious form as he spins his very own fairy tale, featuring Princess Anya, who, with her loyal dog, must embark on a terribly important (capital Q) Quest to acquire the ingredients for a reversal lip balm, the vital item needed to change a frog back to a prince . . . oh, and save her kingdom from her villainous step(step)father. 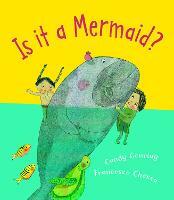 A brilliantly funny take on fairytales and quests for younger readers. Let it be known that I love a good tongue in cheek fairytale inspired story. We have such a wealth of tales well known to us, thanks to Brother’s Grimm, Hans Christian Andersen or even Walt Disney, and I absolutely love stories that take those tropes and mix them up. 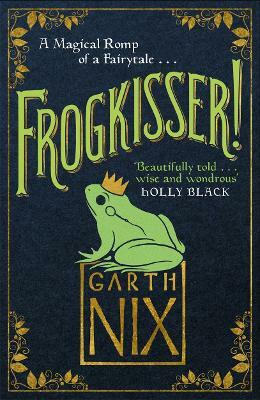 Enter Frogkisser, the latest novel from Garth Nix – an absolutely glorious middle grade romp of Princesses, magic and transformed creatures. Oh, but be sure – this is not the story of the princess and the frog as you know it (this includes the much under-rated Disney version). Princess Anya is determined to be a sorcerer; being second in line to the throne means freedom from worrying about ruling… although if her sister was a tiny bit more serious she wouldn’t have to worry so much. When their actually evil step-step-father Duke Ricard turns Morven’s latest suitor Prince Denholm into a frog, Anya takes pity and decides to set out to gather the ingredients for a magical lip balm to return him to his rightful form. Allied with Royal Dog Ardent, Anya’s quest quickly becomes more complex, in no small part due to an honourable band of robbers, a very good wizard and a boy transformed into a giant orange newt. Can she return Denholm (and all the other transformed creatures desperate for her help) before evil Duke Ricard captures her? With absurdism and wit reminiscent of Pratchett, Frogkisser is an absolute joy that had me weeping with laughter on many occasions. Nix captures dogs with such a knowing smile, and imbues Anya with such courage and kindness that you can’t help but root for her. This is one of my favourite books so far this year. Pure joy, silliness and magic; really what more could you want? What to read next: The Crooked Sixpence by Jennifer Rose Bell Beetle Boy by M. G. Leonard The Colour of Magic by Terry Pratchett Thank you to Bonnier Zaffre & Piccadilly Press for sharing this copy with me.